The SLX4000 Physical Layer Switch (PLS) is a managed, non-blocking, multipurpose cross-point switch for digital signals at speeds up to 10 Gbps. Any input can be switched to any output. 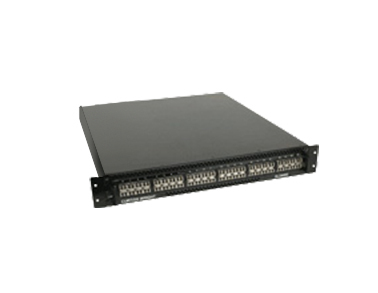 The protocol or structure of data routed through the SLX4000 switch is ignored and passes through unaltered. As a result, the SLX4000 Physical Layer Switch can be used with many different types of networks and signals. The SLX4000 is a single-slot PLS that holds a single port card. Each port card handles 48 channels of I/O. 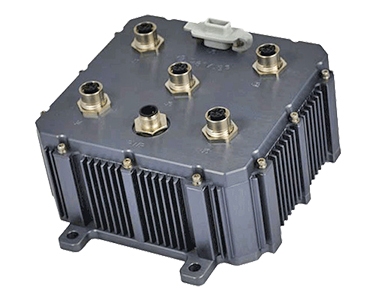 The Parvus DuraMAR 31-5915 is a rugged Cisco IOS-managed mobile router designed to extend enterprise networking infrastructure beyond the reach of traditional fixed-networks into mobile and embedded networking applications. With Cisco Enterprise IOS software, the DuraMAR 31-5915 rugged router delivers the performance, security, advanced Quality of Service (QoS), high availability, and manageability that customers expect from Cisco IOS-based routing technology. 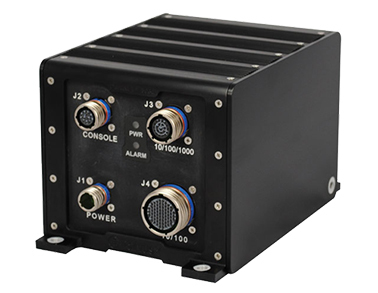 The Parvus DuraNET 3000 is a ruggedized version of Cisco Systems’ IE-3000 industrial Ethernet switch, specifically hardened for use in demanding civil / military IP networking technology refresh applications. This fully managed network switch delivers the security, advanced Quality of Service (QoS), high availability, and manageability that customers expect from Cisco IOS-based switching technology, including optional Layer 3 IP routing services.